Starting last night, me, my battered notebook and a classroom of other garden keeners join Toronto horticulture-guru Marion Jarvie for three sessions at the Toronto Botanical Garden‘s George and Kathy Dembroski Centre for Horticulture. She’ll be talking small, shady, city gardens. That’s how I got the scoop on some dates you’ll want to add to your garden calendar for next year. 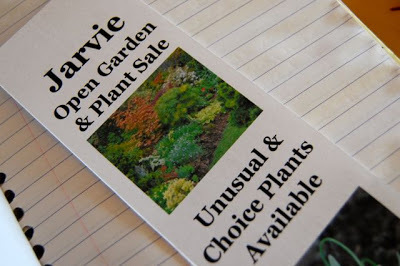 Marion Jarvie’s Open Garden isn’t just a chance to see a beautiful garden once each season; a garden filled with rare plants selected by an admitted plant addict and avid collector. Even better, many are for sale – you might even convince her to dig up a division of something on your suddenly-got-longer Lust List. You will want to, I guarantee it. The double trillium (Trillium grandiflorum flore plenum) was among many that caught my eye. Lucky you, taking her course. I almost signed up for it. I did a post on her garden back in the summer, but I have to get there in April and see her helleborus blooming! What, Nancy, a thousand or so kilometres is enough to put you off! It isn't that far from our house… drop by anytime. Deborah — I signed up on the day I received the e-newsletter announcing it, and the course was already half full. Clearly, a whole bunch of us have small, shady city gardens! She was a customer when I worked for Lost Horizons…. brilliant gardener. 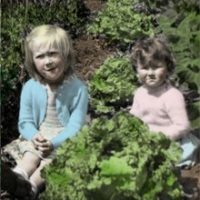 I have get to see her gardens but with these dates, I think it might just be possible next year! Thanks for the heads up Helen! 'New Discoveries- Trees, Shrubs and Plants'.7.00 p.m. at the Bonar-Parkdale Presbyterian Church Hall, 259 Dunn Ave.
She was also at the TBG today, by the way.